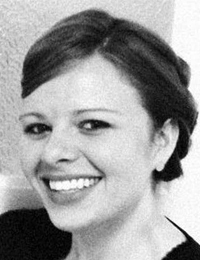 Megan Hall earned a BFA in Graphic Design from North Carolina State University, a Master of Advanced Studies in Design Culture from the Zurich University of the Arts (Zürcher Hochschule der Künste), and is in her fourth year as a full­time lecturer at the University of North Carolina, Charlotte. As an educator and designer, Megan strives to integrate ‘design thinking’ into her work, keeping people and their needs at the center of design. This human­centered approach allows Megan to design engaging, innovative experiences for people to interact with and take action on data and information. Megan continues her current design practice collaborating with an array of cultural organizations, academic institutions and socially responsible enterprises. She has received awards from AIGA, Coup Magazine, POYi–Best Book of the Year, and Type Directors Club. Clients and collaborations include: ITng (Institute for Next Generation IT Systems at NCSU), People­First Tourism, Lars Müller Publishers, Camera Austria, Art Dubai Projects, and Ruedi Baur. Specialties: Design Thinking; User Experience Design; Service Design; Human Centered Design; User Interface Design; Mobile Application Design; Design Visioning; Design Strategy; Design Pedagogy; Design Education; Design Research Methodologies; Generative Research.